See what Real Property Management Portland does for you. Welcome to Real Property Management Portland, a property management company in Portland where our goal is to maximize your investment and help you accomplish your goals. Our property management experts cover the state of Oregon, attending to the needs of our clients. We take away the stress of managing properties to give you more time and freedom. Whether you’re the owner of a single property or a seasoned investor with many properties, our team of professionals will deliver reliable property management services to meet your needs. Experience superior level of service. Our property management company in Portland has the knowledge and experience necessary to be one of the best property management companies in the area. We are the experts when it comes to managing property and we will save you valuable time and help prevent common challenges that come with property ownership. We are members of the Portland Area Rental Owners Association. We are serious about providing value to our clients and their property. We invite you to talk with us about your property management needs and see what we can do for you. We would like to help you. Call us today or submit a contact us form on our site to get started. Owning rental homes in the Portland / Beaverton metro area can be costly. 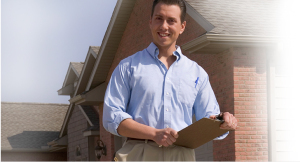 Finding the right property management company in Portland, Oregon can make all the difference. Our goal at Real Property Management Portland is to protect your investment, minimize your costs, and maximize your income—without interrupting your daily life. Our approach to Portland property management is easy, and our goal is for your have an experience that will make you want to add to your portfolio, while providing you with time and freedom. Real Property Management Portland provide a relationship based on our core values of Trust, Communication, Teamwork, Innovation, and Dependability to name a few. We offer superior Portland property management services from tenant screening to leasing to maintenance to detailed accounting and communication to evictions. Whether you are a seasoned investor with a large portfolio, or just have one Portland, Oregon rental property, we will work with you to create a customized Portland property management plan to fit your needs. Rely on your personal team of Portland property management experts! With Real Property Management Portland, you can count on a team of trained professionals with the local knowledge and expertise needed to manage your rental property here in Portland, Oregon! We are supported by the systems and processes that we have developed and evolved over the past 25 years! Join the Real Property Management Portland team along with thousands of rental property owners and investors in the Portland and Beaverton, Oregon that have put their trust in us. Whether you own 1 rental home, or have a portfolio of 100, our team is prepared to take care of you 24 hours a day. We understand what works in Portland, what rents in Beaverton, and how to ensure you get the most out of your Portland rental property. A Portland property management company to meet your needs. Whether it’s marketing rental properties in Portland, or leasing homes in Beaverton, Oregon, Real Property Management Portland fills Portland rental property faster and for higher rents. From reviewing tenant applications in Hillsboro, Oregon, to providing rental property maintenance in Tigard, RPM Portland has you covered. When collecting rent in Wilsonville, avoiding an eviction in Forest Grove, auditing accounts in Lake Oswego, or complying with tenant landlord laws in Aurora, Real Property Management Portland protects landlords from the common pitfalls of owning Oregon rental property. From providing weekly status updates for vacant rental properties in West Linn, Oregon, monthly accounting profit and loss statements for landlords in Sherwood, OR, to photos for property maintenance done on rentals in Clackamas, Real Property Management Portland in Oregon communicates about every aspect of your rental property. Whether responding to tenants in Milwaukie, coordinating vendor bids for your Beaverton rental property, or conducting rental property inspections in Downtown Portland, Oregon, protecting our rental property owners in Multnomah County and Washington County, providing full service property management in Portland, Oregon, and providing peace of mind for landlords across the Portland metro area is why our company is in the property management business. All of the Portland Property Management Company needs for the entire Portland Metro Area.